A rare photo of type D killer whales from South Georgia Island, showing their blunt heads and tiny eyepatches. Credit: J.-P. Sylvestre. 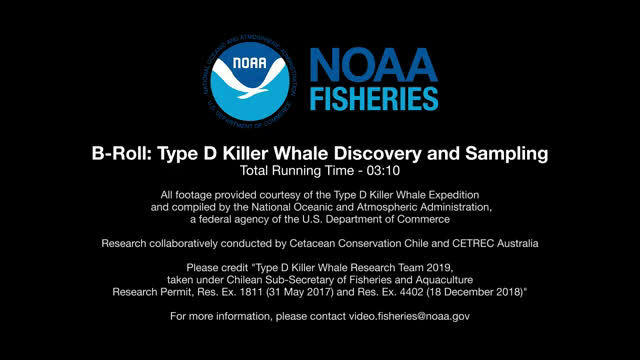 In January 2019, an international team of scientists working off the tip of southern Chile got their first live look at what might be a new species of killer whale. Called Type D, the whales were previously known only from a beach stranding more than 60 years ago, fishermen's stories, and tourist photographs. "We are very excited about the genetic analyses to come. 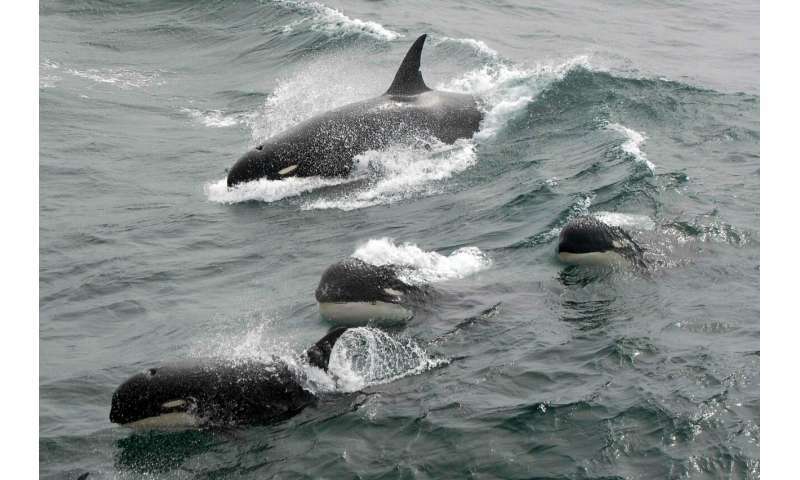 Type D killer whales could be the largest undescribed animal left on the planet and a clear indication of how little we know about life in our oceans," said Bob Pitman, a researcher from NOAA Fisheries' Southwest Fisheries Science Center in La Jolla, California. The team's encounter with the distinctive whales came after they spent more than a week at anchor, waiting out the perpetual storms of Cape Horn off southern Chile. It was here that the scientists collected three biopsy samples—tiny bits of skin harmlessly taken from the whales with a crossbow dart—from a group of Type D killer whales. Unraveling the secrets of these unique killer whales has now moved from the blustery Southern Ocean to the laboratory, where NOAA scientists will analyze DNA from the skin samples. "These samples hold the key to determining whether this form of killer whale represents a distinct species," said Pitman. The first record of the unusual killer whales came in 1955, when 17 animals stranded on the coast of Paraparaumu, New Zealand. Compared to other killer whales, they had more rounded heads, a narrower and more pointed dorsal fin, and a tiny white eyepatch; no whales like this had ever been described, before. Top. An adult male 'regular' killer whale - note the size of the white eye patch, less rounded head and dorsal fin shape. Bottom. An adult male Type D killer whale - note the tiny eye patch, more rounded head, and more narrow, pointed dorsal fin. Credit: Uko Gorter. Initially, scientists speculated that the unique look might have been a genetic aberration only seen in with those stranded whales. Then, in 2005, a French scientist showed Pitman photographs of odd-looking killer whales that had taken fish from commercial fishing lines near Crozet Island in the southern Indian Ocean. They had the same tiny eye patches and bulbous heads. Burgeoning tourism in Antarctica has since produced wildlife photographs in unprecedented quality and quantity. To monitor the distribution, movements, and abundance of killer whales in Antarctic waters, Pitman and colleagues began to collect killer whale images from the Southern Ocean, including from tour vessels. The sightings indicated a distribution around the entire continent of Antarctica, but within subantarctic waters. Because Type D killer whales seemed to avoid the coldest waters, the authors suggested "subantarctic killer whale" as a common name. It was also evident from the few sighting records that this animal lived in offshore waters, in some of the most inhospitable latitudes on the planet: the Roaring 40s and the Furious 50s, known for their strong winds. No wonder it was almost unknown to science! The stories continued: Chilean fishermen complained of killer whales stripping valuable toothfish off their lines, 60 to 80 miles south of Cape Horn, where the continental shelf drops off into the abyss. 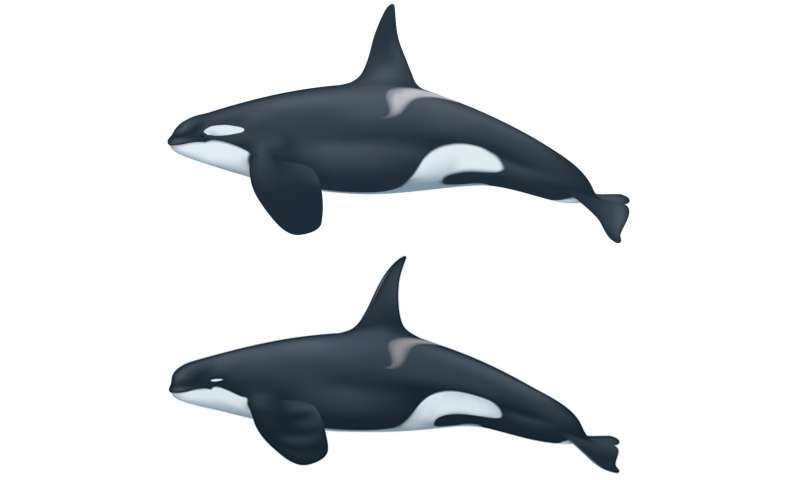 Based on photographs by fisheries observers, most of the fish-stealing killer whales were "regular" killer whales, but, among the images, there were also some groups of Type D whales. This year, the stories and photographs finally became real. With support from an anonymous donor and Cookson Adventure Tours, and in collaboration with Centro de Conservación Cetácea, Chile, Pitman assembled an expedition of international whale experts: Bob Pitman and Lisa Ballance from the United States, John Totterdell and Rebecca Wellard from Australia, Jared Towers from Canada, and Mariano Sironi from Argentina. In January, they set sail from Ushuaia, Argentina, on the 22-meter research vessel Australis, to search for the elusive Type D killer whale. At first, luck did not seem to favor the Australis team—at one point they sat at anchor for eight anxious days, pummeled by 40 to 60 knot winds at Cape Horn. Then, during a brief lull in the weather, Australis pounded its way back offshore when the team's fortune changed.